When it comes to your interiors, how you decorate acts as an expression of your personal style. 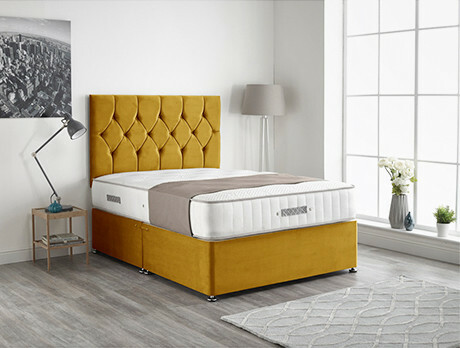 Elegant and opulent in design, our edit of luxury bed frames and mattresses offers a plush way to make your nest your own. Realised in hues of mustard, grey and silver crushed velvet, these frames have been hand-picked to suit a broad range of homeowners.